“Stitching Myself Together/ To fall in love with a beautiful woman.” 2013. 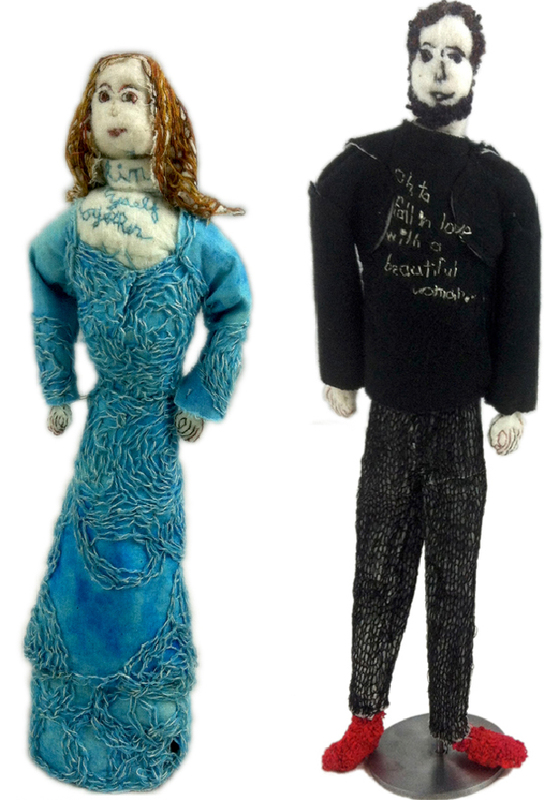 Sculptures with fabric, paint, stiffener, stuffing, metal stands. Female figure: 9.5″ x 3″ x 2.5″. Male figure: 11″ x 3″ x 1.5″.